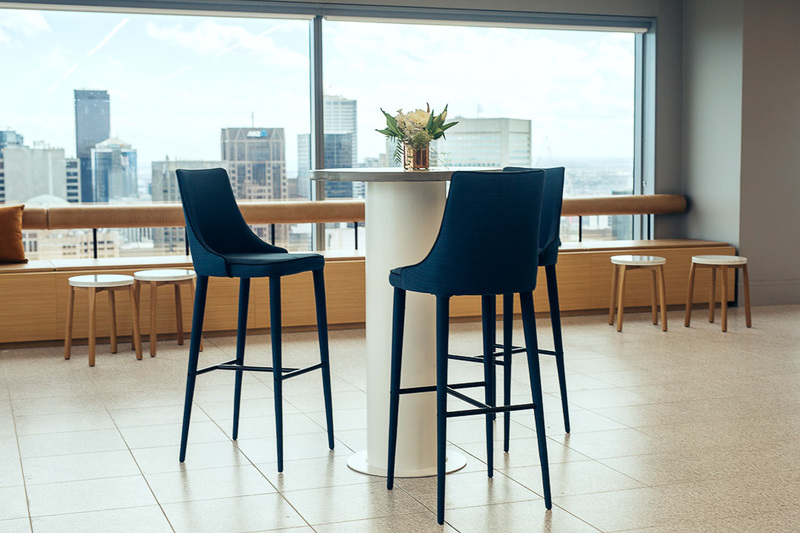 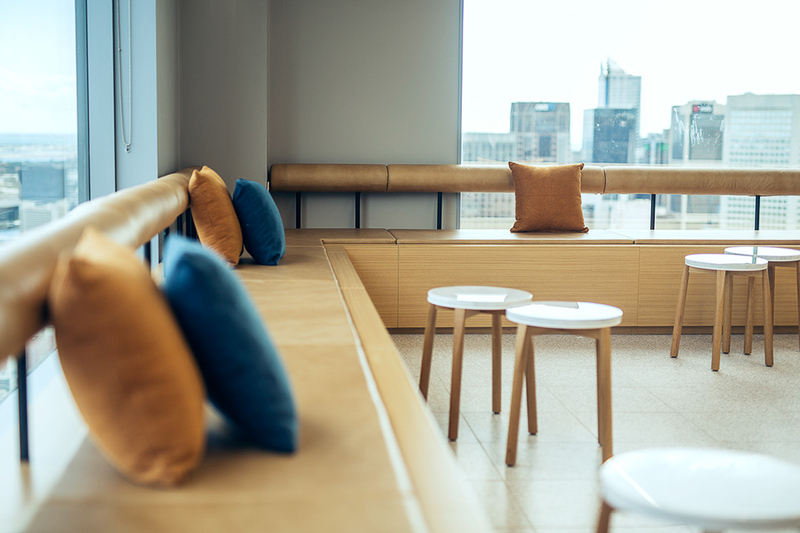 Level 40, 101 Collins Street, Melbourne, what a venue! 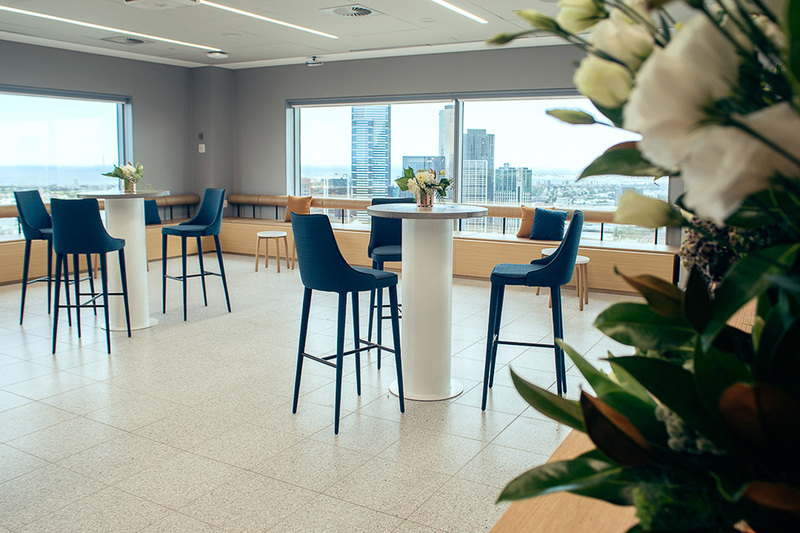 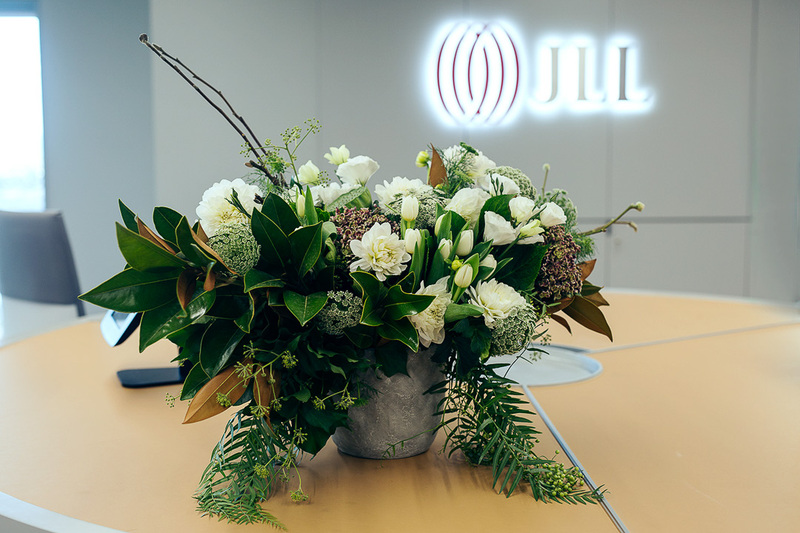 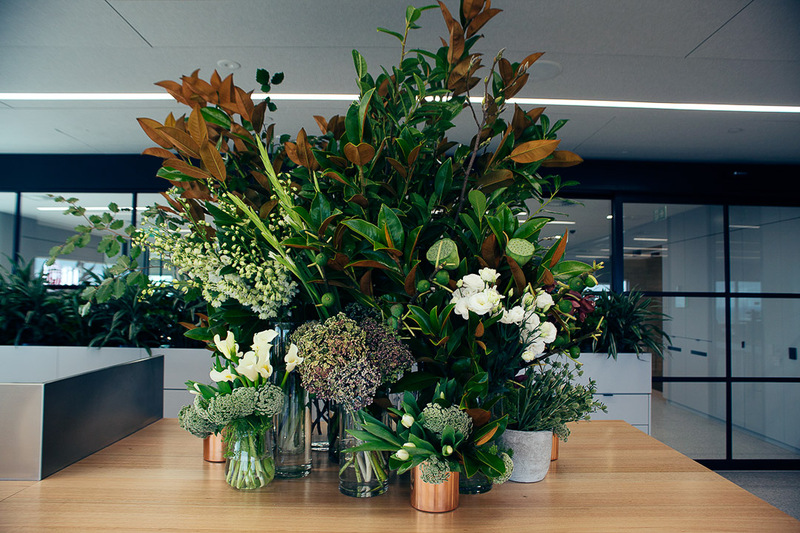 We were asked to design and style the launch of the brand new JLL offices. 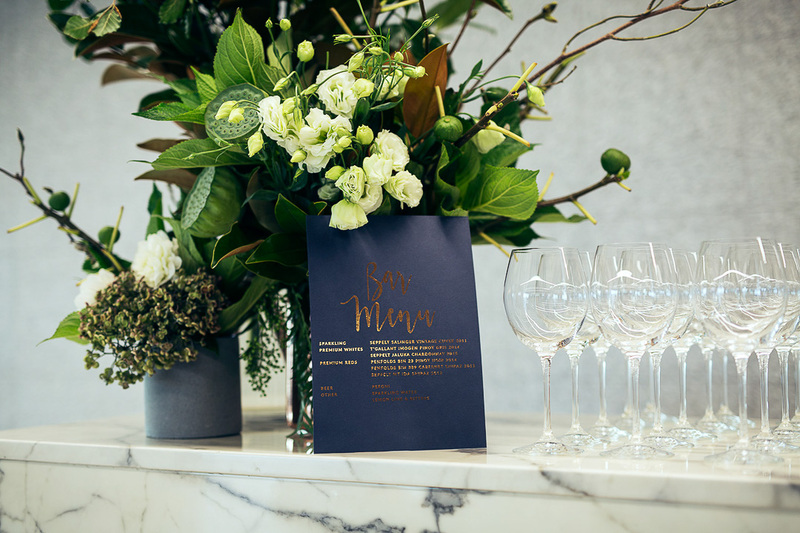 This was a special night for 250 of their VIP clients. 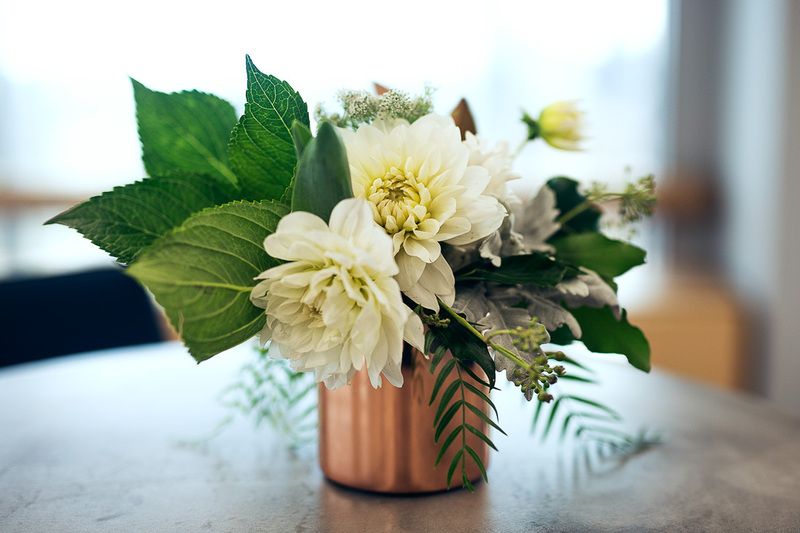 Greys, blues and copper tones with lush textures made for a modern and elegant evening. 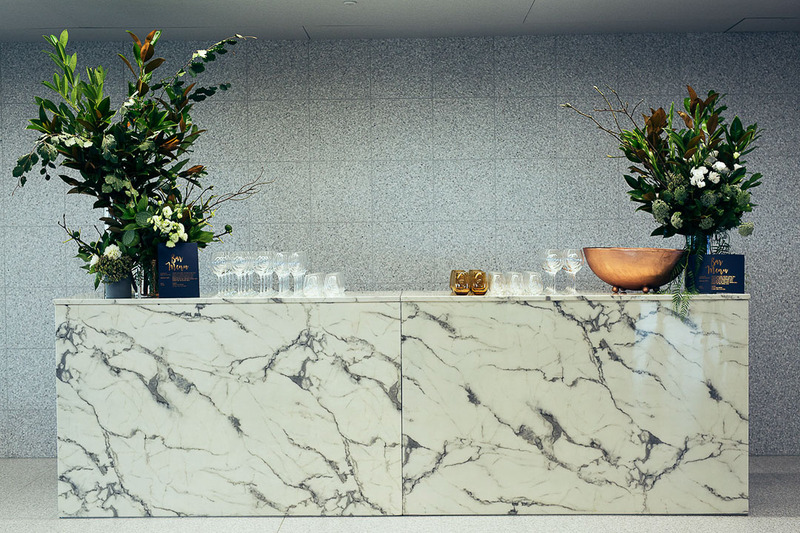 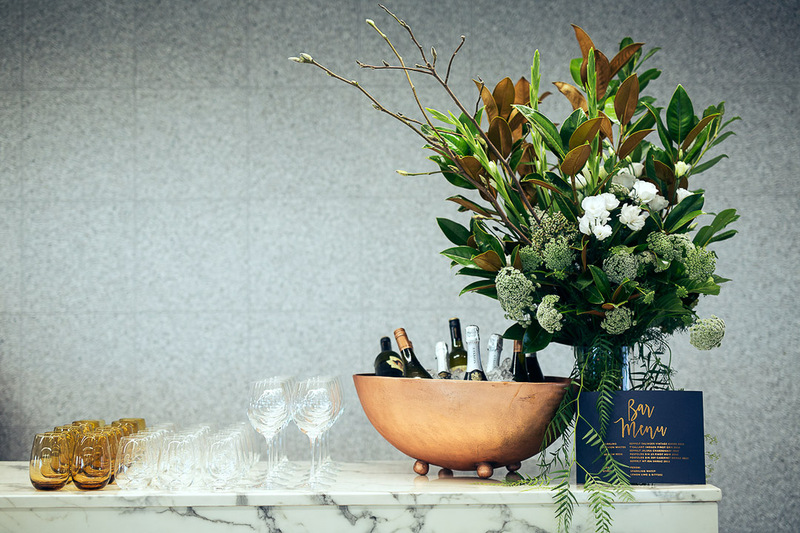 The feature marble bar set with gorgeous florals, our copper champagne bowl and custom made copper foiled bar menu. 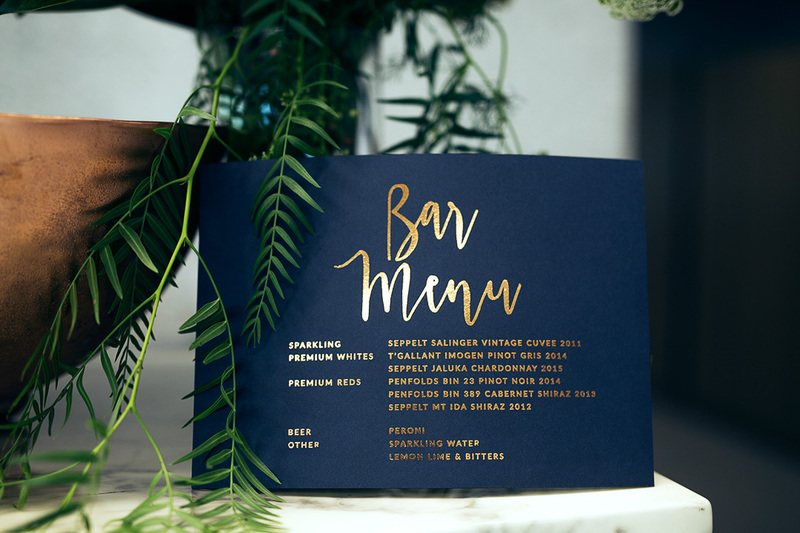 Because when you’re drinking the good stuff, copper foiling seems like the right way to read it!